Australia’s leading performance car manufacturer, HSV, today released details of some major upgrades to its GEN-F range. The addition of the Supercharged LSA engine to the ClubSport R8, Maloo R8 and Senator Signature models is sure to be well received. HSV first launched this powertrain in its hero model – GTS, at the introduction of the GEN-F range, and its extension to the majority of the HSV line-up ensures HSV can confidently lay claim to having one of, if not the, most powerful performance production car range available in Australia. But the revisions aren’t just limited to the LSA engine and the revised suspension settings. Extensive styling upgrades to the front fascia, rear diffuser and side-skirts, together with the introduction of new 20” alloy wheels on the Maloo, ClubSport and GTS models, will ensure the GEN-F2 range is easily identifiable. “Our objective with the GEN-F2 program was to enhance performance and design in equal measures”, said HSV’s Managing Director, Tim Jackson. “The changes we’ve made to exterior styling evolve the current design language and give the GEN-F2 range distinctive street presence”, he said. The GEN-F2 range will consist of ClubSport R8 LSA, ClubSport R8 Tourer LSA, Maloo R8 LSA, Senator Signature, Grange and GTS. The company also confirmed that its 340kW LS3 engine will continue to be available in its luxury long-wheel-base Grange, and in both Maloo R8 and ClubSport R8, the latter two models to be available in Q1, 2016. “Given strong dealer feedback, we’ve taken the opportunity to concentrate limited pre-Christmas production and availability on the new LSA models through the launch phase”, said Jackson. 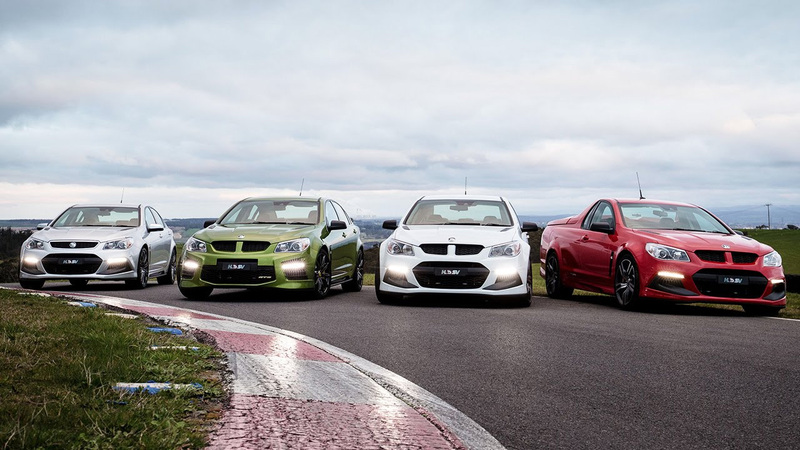 The GEN-F2 range is the most significant upgrade to the HSV line-up since the launch of the GEN-F range in June, 2013. Supercharged LSA engine to the majority of our range, in addition to the styling enhancements we’ve introduced with GEN-F2, make this the most exciting range we’ve ever offered”, he said. The company confirmed that production of the GEN-F2 range will commence early October, with vehicles due to arrive in HSV showrooms later that month.